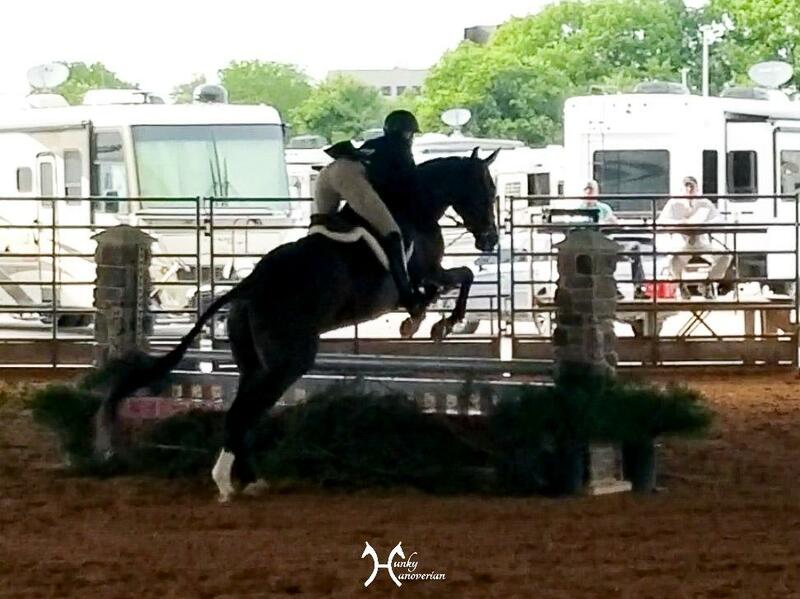 Now that I have discussed the Ft. Worth hunter jumper show competitor experience and the 3 ft greens, I get to talk about the main attraction- how the show went for Rio and I! Spoiler… it was SO MUCH FUN!!! So the schedule for this show was a tiny bit weird. They had the 3 ft greens going on Wednesday and Thursday, and the Adult Amateurs going on Thursday and Friday. Usually the AA’s don’t start until Friday at the earliest, but for some reason that wasn’t the case this time. That meant that Rio had 3 O/F classes on Thursday afternoon to complete his green division, and then a few hours break before starting the AA division with me (2 more OF rounds). 5 rounds in one day is a LOT for Rio right now. Grant it, he would get a several hour rest, but it was still going to be a lot. 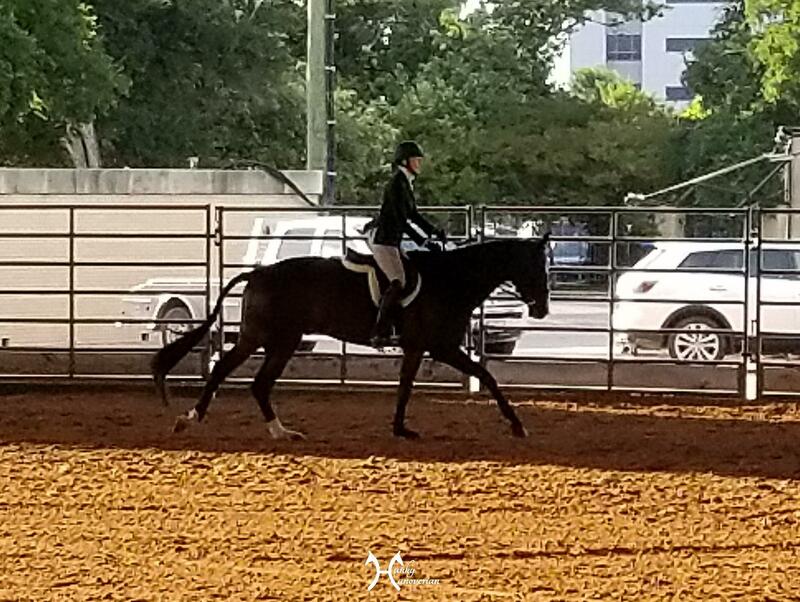 Trainer Stacie and I discussed whether we should drop him down to the Modified Adults for me (2’9), as that division didn’t start until Friday. As I already mentioned in my 3 ft greens post, Rio didn’t have the best rounds ever on Thursday afternoon, he seemed unfocused and a bit tired. I had to decide whether to start my division on the same day, or drop down a division, let Rio recharge, and start the next day. After going back and forth a little bit, we decided to proceed as planned, and have me warm him up for the AA’s and see how he felt. If the warm up didn’t go well, if he felt out of steam or had a bad attitude, we would scratch the AA’s and proceed with the Modifieds the next day. I have never pushed him like that before, but he’s 7 now and I kind of feel that he needs to start learning a bit of what is expected of a grown show horse. I also wanted to see how he handled being pushed a bit harder then he’s used to. Our warm up went pretty well, but I wasn’t feeling confident for some reason. We kept blowing our Lt to Rt change, and I didn’t have as much horse I was used to, even though he felt relaxed and very capable over the fences. 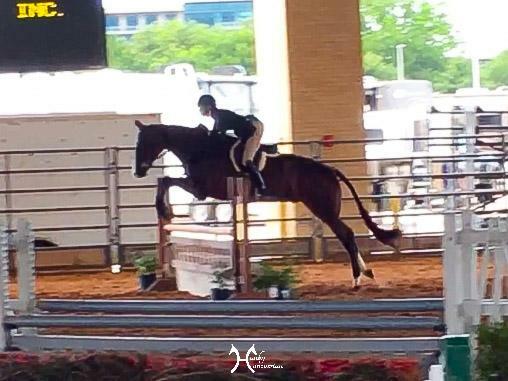 Trainer Stacie said we looked great though, and we decided to go ahead and compete in the AA’s (3ft). Part of me wanted to say “No thanks!” and not do it- but I didn’t want to chicken out. I always have bad nerves the first day of a show, so I knew in the back of my mind that it was more nerves then anything to do with Rio. Doing the Mods the next day wouldn’t make those nerves any better, it would just delay them. We went in the ring… and it wasn’t terrible! I was definitely a bit “frozen” and in survival mode, we had quite a few deep spots, but honestly it wasn’t horrible and if I had just been more confident it might have actually been passable. We even got the Lt to Rt change after the first jump (Yay!). I’m a bit annoyed at myself for not having my head in the right place, but it was also a huge reminder of how mental showing can be. Our 2nd round went about the same, except we didn’t get the change from the Rt to Lt behind so we had to trot a few steps to fix it, and also had a few more tight spots. Trainer Stacie was thrilled that I had (mostly) pulled it together and that we had gotten the job done. I felt so much better once the day was over, and that it wasn’t a disaster. I reviewed the videos when I got home, and gave myself a huge kick in the pants. THIS IS FUN. I pay lots of money to HAVE FUN. I realized for like the millionth time that showing can be stressful but that I need to adjust my mindset and enjoy myself. Big effort into a very tight 7 stride line, that we made into a 6… whoops! I came back to show on Friday with a fresh perspective. I was absolutely set on enjoying my horse, regardless of perfection. I felt way better in the warm up this time, and I didn’t go into the ring with thoughts of doom lurking in my head, I was actually excited! Our first round started up super, but then I got 6 strides in a shorter 7 line and was totally freaked. I was determined to do better in round 2. Unfortunately… Rio jumped brilliantly into the 7 again and I just could NOT get him back for the 7- which was also going home. Could NOT. I made it super ugly again. I probably would have just gone with the 6 and made it look intentional if I didn’t think my trainer might murder me for not trying to get the 7 since. Jk Stacie would never do that, but I also wouldn’t want to disappoint her. In the end I couldn’t make the 7 happen, but that’s alright. I got in a bit tight to the 5 as well, and had a really late change behind, but I know all those things are fixable, and in the process of getting better every ride. But… I had FUN. I didn’t sweat the mistakes on Friday, and I enjoyed myself. I know that it will come together soon. Rio has already improved SO MUCH in just a few short months, I can’t wait to see where we go with a few more months of training under our belts. We also did the under saddle on Friday, which is NOT my favorite. Every u/s I’ve done to date has been a bit of a disaster. Rio usually gets super tense with all the horses cantering by him, and I’ve never been able to maintain a balance canter the whole class, he always breaks to trot at some point. 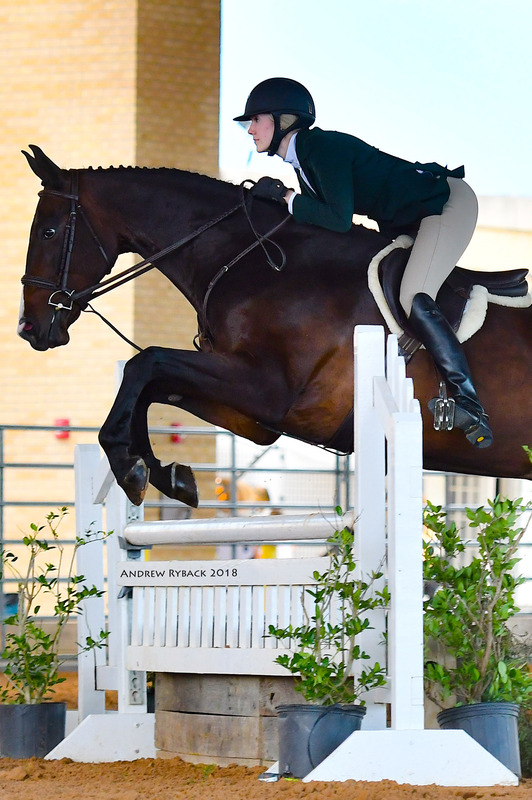 I’m thrilled to say that this was our best under saddle to date! Rio was actually relaxed and I felt like he was moving out great. We had no problem maintaining the canter, and we weren’t lapping people like it was a race. 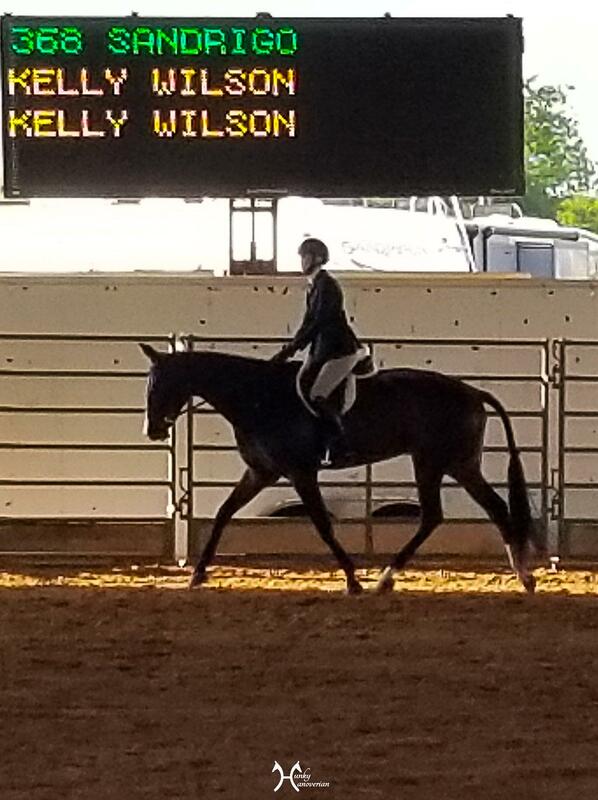 Judge didn’t particularly love us (I think we pinned 6th and their were 9 in my AA age group division), but I was so so excited that we are finally getting it. Rio’s performance in the u/s actually makes me look forward to doing another one, instead of dreading it like I usually do. All in all, the show was a huge success. We got a few lower ribbons (we weren’t last in every class! ), but we learned a ton. I am excited to get more comfortable showing again, and spending more time getting to know my new Bay Yard family was AMAZING. Everyone is so nice and incredibly supportive! Stacie and Julie ran the show like a well oiled machine, and the guys kept the horse incredibly well taken care of all week. Bay Yard had 15 horses competing, but it never felt hectic or unorganized. I cannot wait to do it again in June at the Waco show!!!! Thank you for everything team Bay Yard!!! P.S. 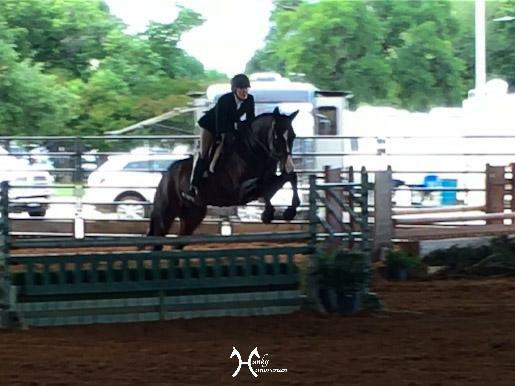 Some of my awesome readers chimed in answering my question about stabling from the Ft. Worth Hunter Jumper Show Competitor Experience post I did on Tuesday. I have updated that post with their answers, which make me even more excited for next year! Yay Rio! Yay Kelly! There is so much GOOD going on in those rounds. I am so excited to see how you all progress with more miles under your belts. So. much. this. High performance hunters here we come! LOL! Thank you Karen!! I actually have a shad… so I’m prepared for the day I need it!! looking good! Wow you guys clean up well 🙂 So Fancy!! Great job! What a great show! You had fun, learned a lot, and your horse jumped GREAT! woo congrats!! awesome that you were able to come back the second day and really focus on enjoying the rides too! Rio’s still so new to this, and he’s doing so so well!! Those were SO awesome. Thanks for posting. His progress is coming along just fine! Being able to go in two arenas, both the Pavilion and the Colosseum… AND over tough obstacles with height for that long week… is exactly the kind of “mileage” that he needs. GOOD JOB! I’ve shown my whole life yet I feel like I’m just now beginning to understand what a mental game showing is as opposed to a go-in-there-and-do-it event. Your trips look great and hopefully we will see you in Waco! Wow, he’s really coming along, he’s already a nice horse but with a little more experience he’s going to be seriously competitive! Y’all are such a well-matched pair. You look great out there.